in portland! 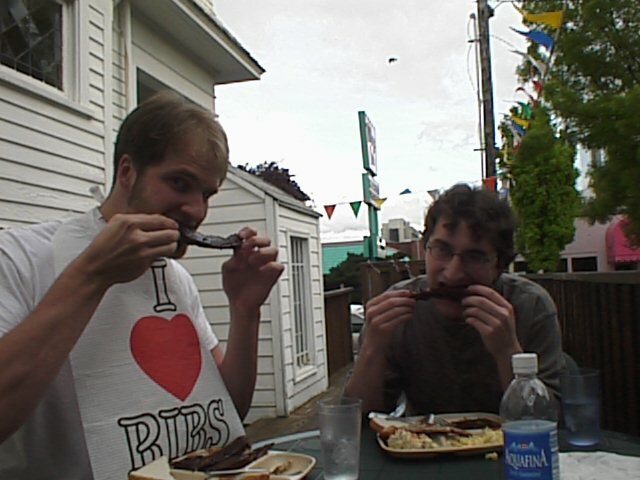 eating ribs! mmm, ribs. the management brought gus a bib - they just knew he needed it.